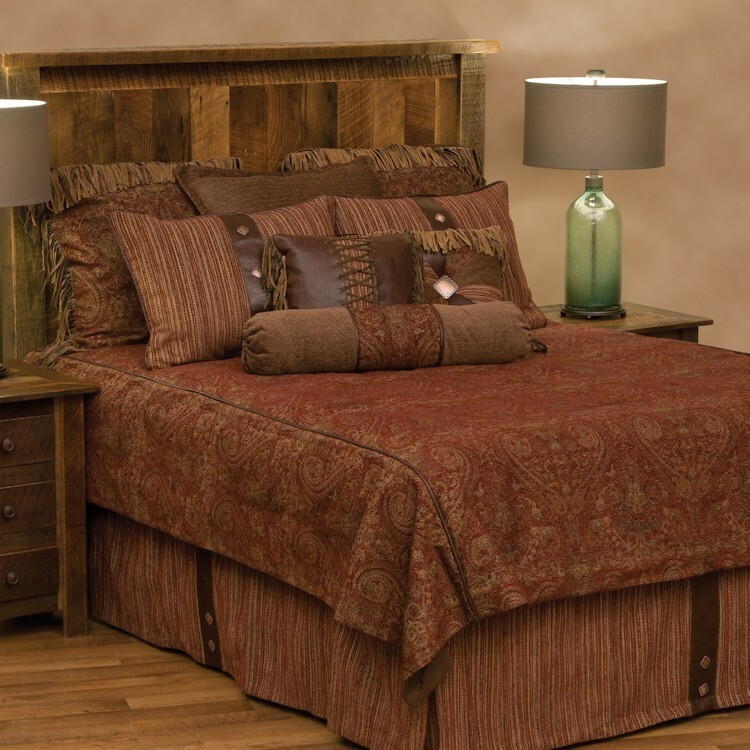 Each Panel - 54" x 84"
A pallet of warm colors and an intricate western paisley design dominate the Milady Western Bedding. 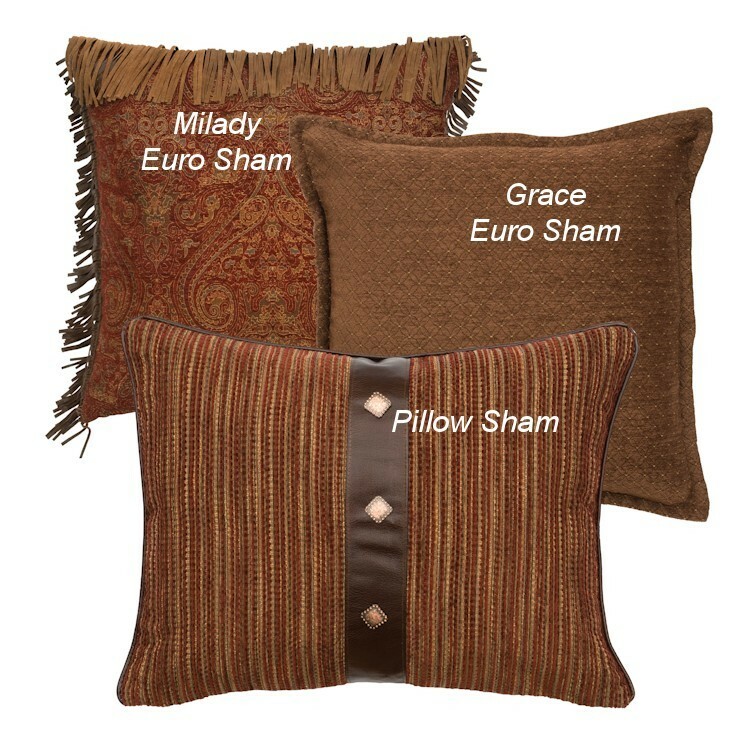 The predominate colors are dark brick red, tan, brown and gray. The nubby stripe of the pillow shams contrast the duvet cover and the tailored bedskirt is accented with leather bands and copper tone conchos. 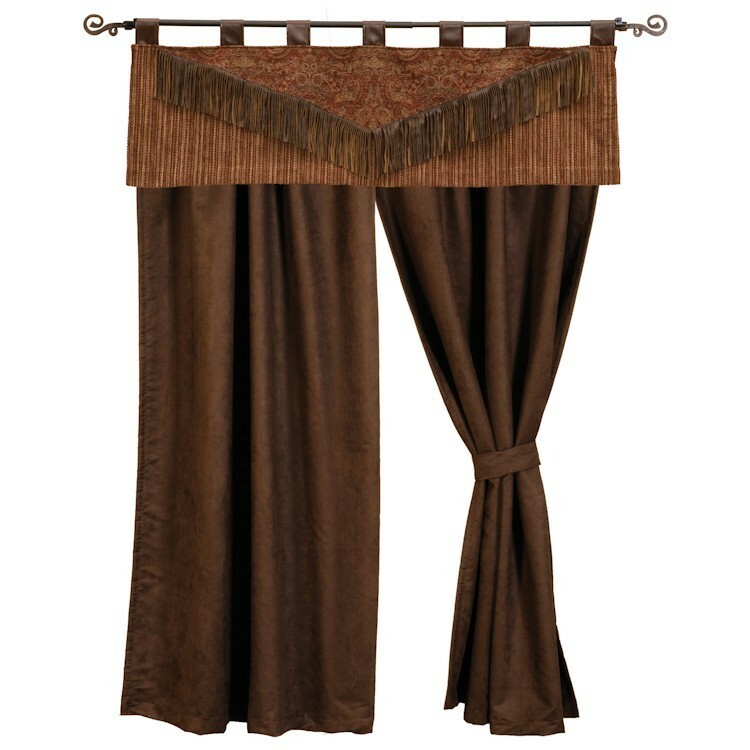 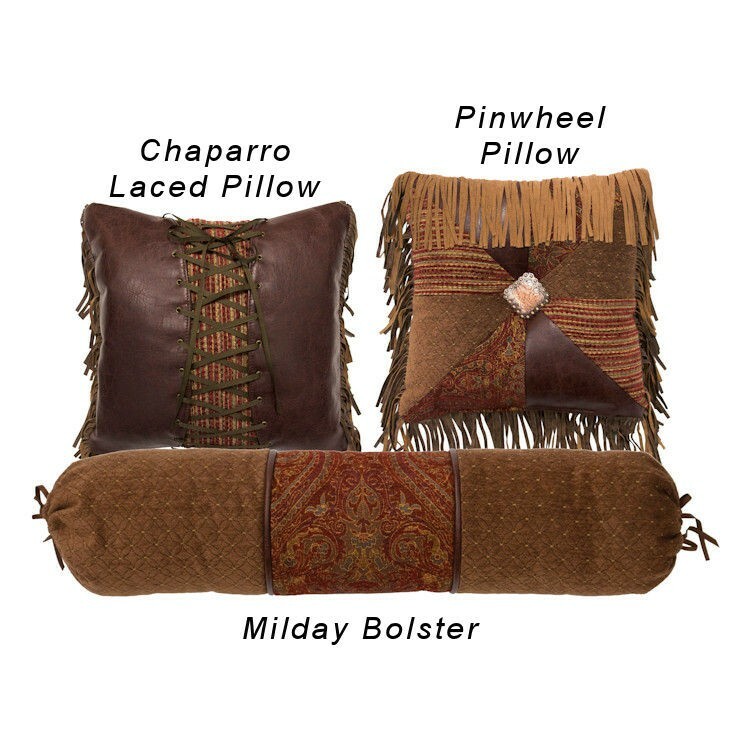 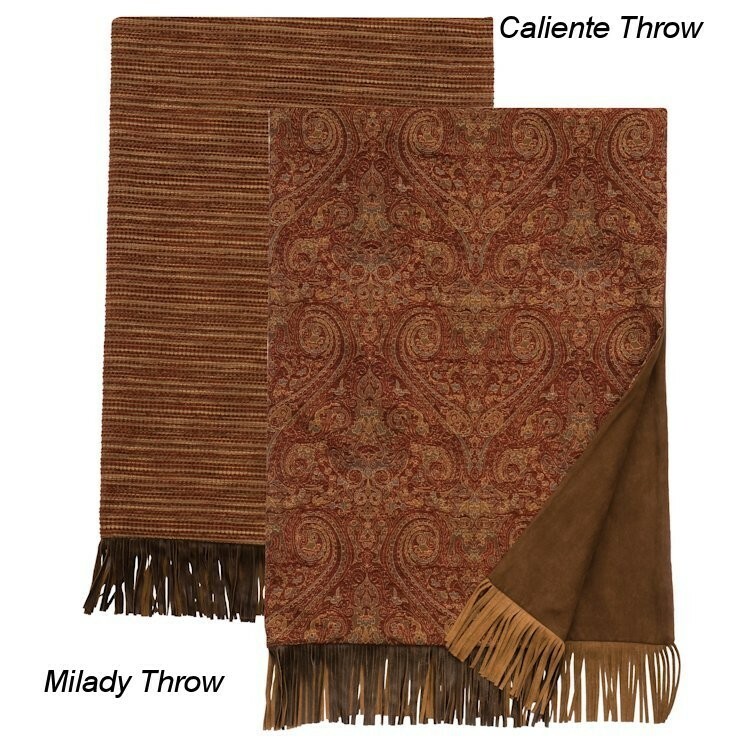 Deluxe sets include three euro shams (2 fringed Milady and 1 brown tone on tone) to give additional posh to your western style bedding ensemble.